This is a special, but sad, Sunday Music Muse Day in memory of jazz guitarist John Abercrombie, who passed this past Tuesday, August 22. This hurts so much. 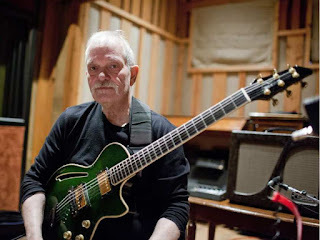 John Abercrombie was more than a favorite guitarist and musician of mine, his music was the soundtrack of my maturing years in NYC after art school. 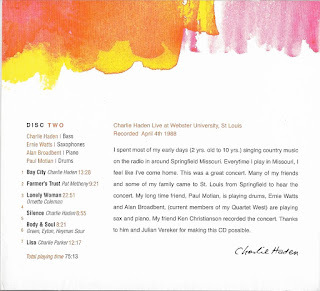 I got to see him perform many times in NYC, different groupings, as a leader, in duet with Ralph Towner,as sideman with Jack DeJohnette. I would pick up any album or CD I'd see with his name on, which led lead to discovering many new musicians with John as a guide. Since Tuesday, I've found myself playing nothing but John's music from the 19 albums, and 10 CDs I own. 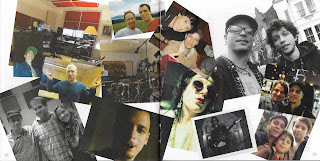 Some of his releases I have on album and CD, "Characters' and "Gateway". I discovered Abercrombie guitar music when I was starting to shift my musical taste from blues rock of Jimi Hendrix, Eric Clapton, and Jeff Beck to the jazz fusion of John McLaughlin, Al Di Meola (Return to Forever) and Pat Metheny, to name a few. 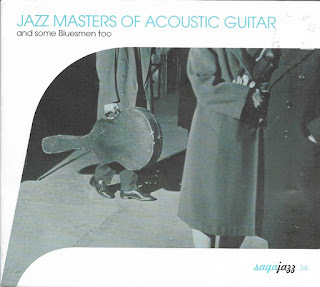 John Abercrombie first ECM album, Timeless, remains a favorite, and especially the title tune. I can't recall how many hour I sit listening to that tune with headphones on. I loved how Abercrombie could be intense and introspective without loud volume. John was adventurous in the true sense. 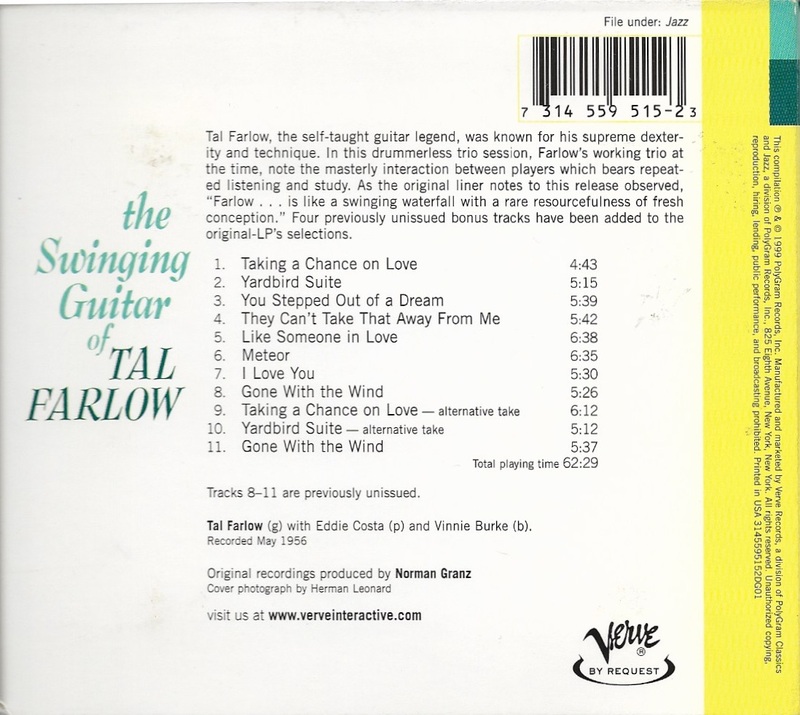 He explored acoustic, electric guitar, guitar synthesizer, and even the electric mandolin in various settings. 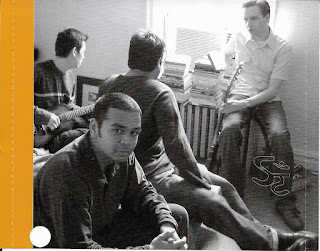 "Character" a solo album is my second favorite. 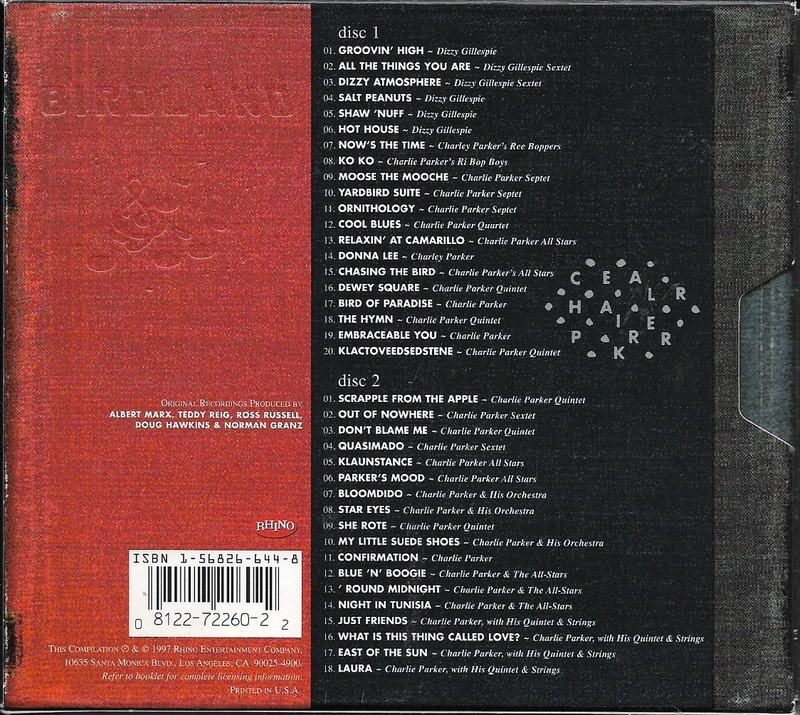 It should be in everyone music collection. Replaying his music allows me to rediscovery so many gems. My condolences to his family and friends. We've lost an American treasure. RIP, John, and thanks for the music, Your legacy will live forever. 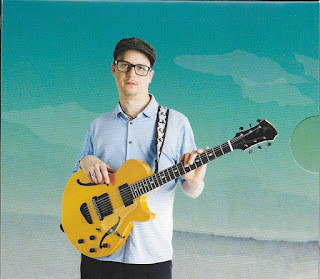 This week's Sunday Music Muse Day features a batch trio of new artists, and an old favorite. 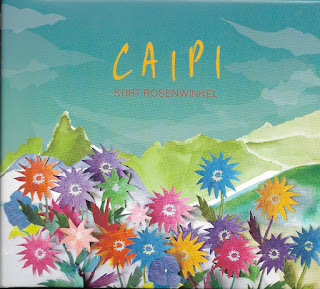 First up, Kurt Rosenwinkel, Caipi. I've read about this young guitarist as being uprising star on the jazz scene. It's seems he has been around awhile and has a solid growing following. But this is my first extended listen to him, and I must admit, I'm not hearing what all the fuss is about. The music here borders on "Smooth Jazz" to my ears. One online reviewer gave Caipi 4 1/2 out of 5 stars. 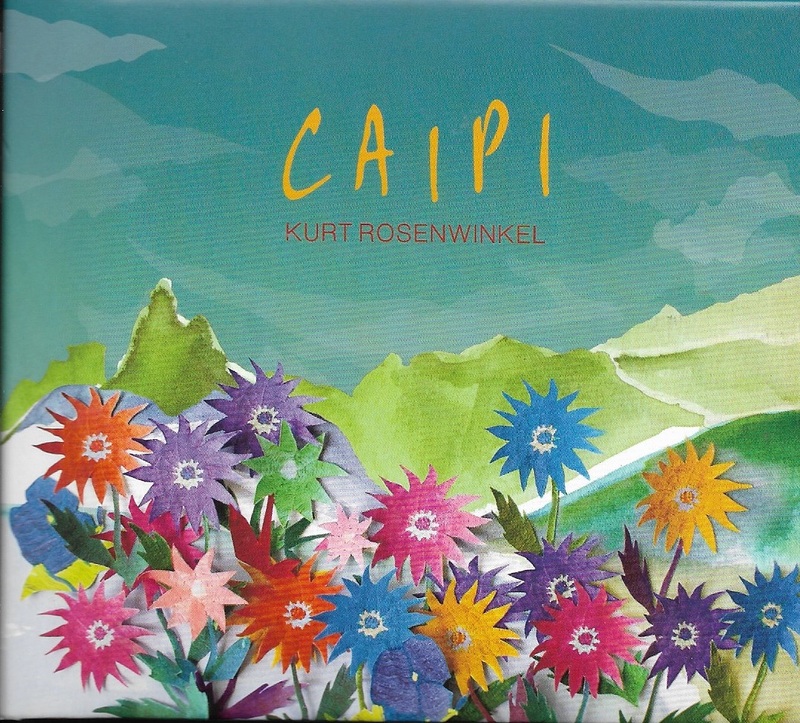 While another said, "For the music from "Caipi... sounds virtually nothing like what listeners have come to expect from him during the past couple of decades." So I'm of the mind to seek out his earlier record before giving final judgement. 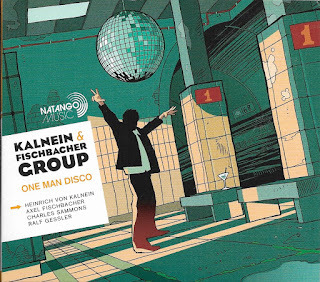 My next new artist (at least to me) is Kalnein Fischbacher Group - One Man Disco. 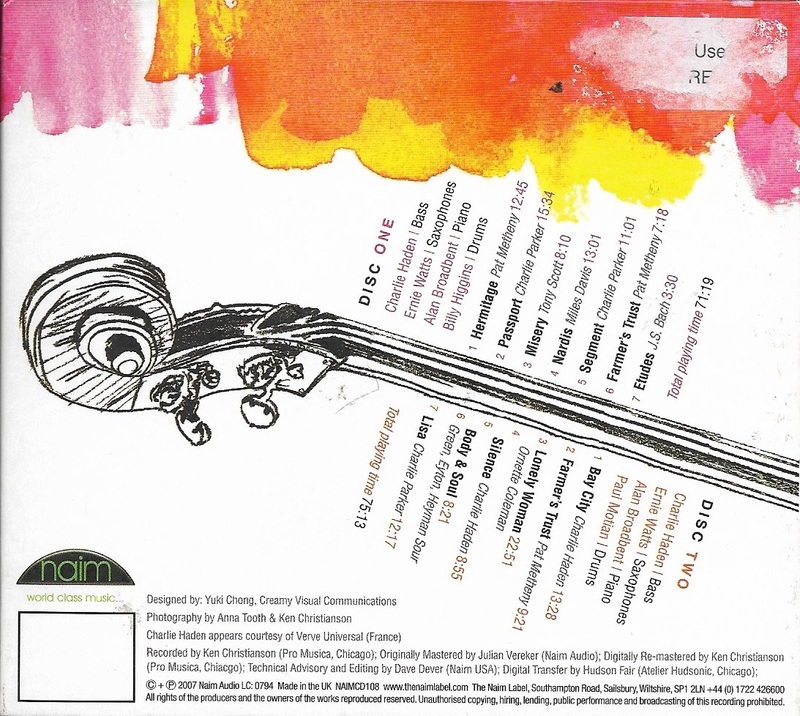 I freely admit this CD cover art caught my eye, first. 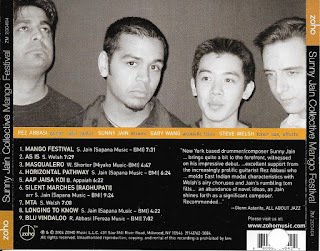 This quote from their web page gives a hint of what to expect: "With post-modern vigor this remarkable quartet morphs trace elements of Jazz, Rock and Indian music into the present, where they flitter throughout the eight original compositions by the two bandleaders, underscored with rhythmic furor and melodic flights of inspiration." The only online reviews give them 5/5 stars. 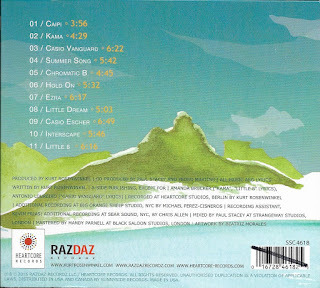 I found the music adventurous very much like the post-Weather Report world music of Joe Zawinul. This music can't be pigeon-hole in any one category, it just needs to be enjoy on it's own merit. I like it. 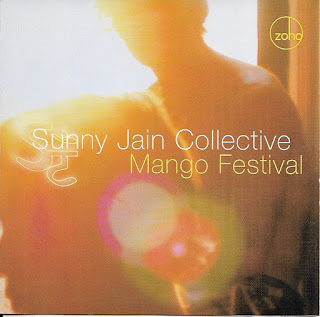 The next selection is Sunny Jain Collective - Mango Festival. I picked up this drummer's CD because I saw one of his sidemen was guitarist Rez Abbasi who's CDs I had picked up this last year. 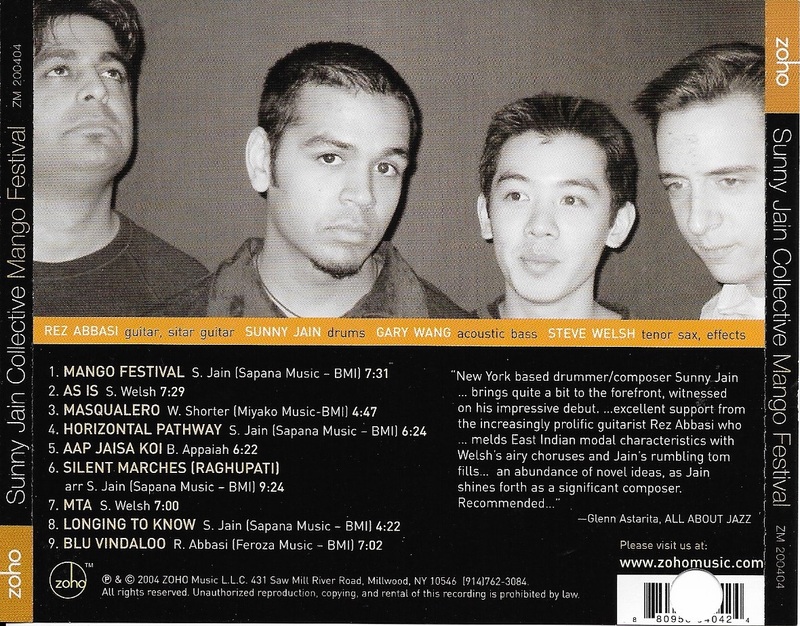 Reading the liner notes it states Sunny Jain was raised in Rochester, as noted in a online profile: "Born to Punjabi immigrant parents and raised in Rochester, NY, Jain has become an highly recognized musician who's group, Sunny Jain Collective, has been touted as a leading voice for the new music Indo Jazz (a movement of first-generation South Asians equally steeped in the jazz tradition and the music of their cultural heritage). With 3 critically acclaimed CD releases (another 20 as a sideman), multiple tours throughout the world, and numerous of media accolades, Jain is an Indian-American trailblazer." His resume will make you head spin. He's very talented. 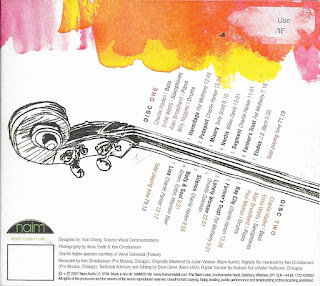 this CD is great introduction, I'll be seek out his other works. It shows the strength of diversity. 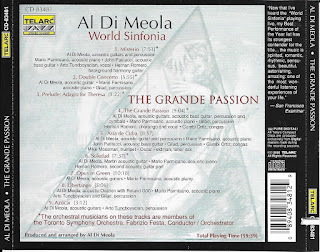 My last selection is by a old favorite guitarist Al Di Meola with his World Sinfonia - The Grande Passion. 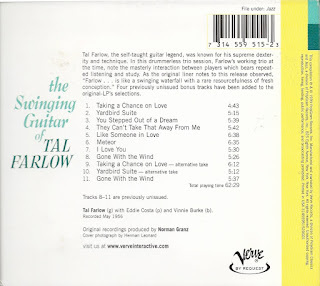 A review on All Music website states, "A rich, moody tapestry with flashes of fire, this CD incorporates elements of jazz, fusion, classical, Latin, tango, and Middle Eastern music", earning it a 4/5 star review. This music beyond fusion and enjoyable to the max. Again, these selections shows the riches cultural diversity can offer us, if we open our hearts and minds to it. Enjoy. I was bargain bin shopping yesterday at Ollie's, an local discount store, and find these cheap. The Art of Naughty Dog book $4.99 (list $39), Hellboy Companion $2.99 (list $14,95), and How to Draw Fantasy $1.95 (list ?). Ollie's has tons of overstock of books, and DVDs. Only when I got home I realized Naughty Dog mentioned Joe Pearson for the creation of Crash Bandicoot. The Hellboy Companion book might come in handy with the Hellboy movie re-launch. It give nfo on all the characters, and has ton of spot drawing. The How to Fantasy Style was just too cheap to pass up. I'm not familiar with the artist/writer but the book is well printed, could be a nice gift, or stocking stuffer. 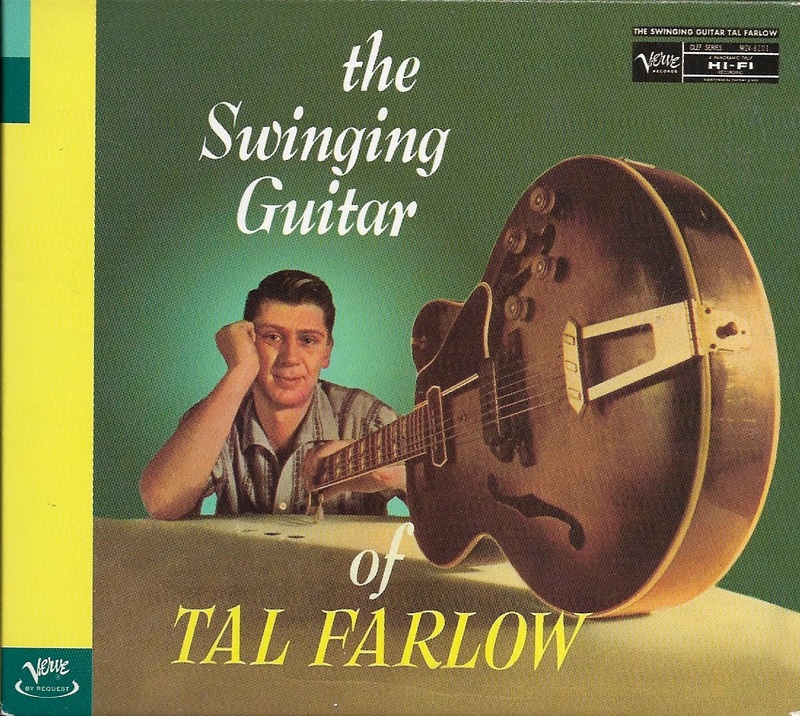 Keeping in the jazz guitar vain, next up it is The Swinging Guitar of Tal Farlow, the legendary guitarist with his well regarded trio. 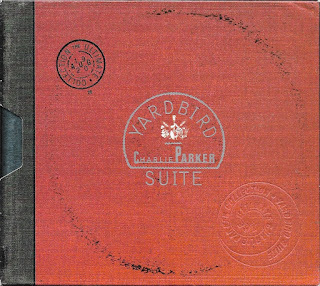 This is a re-release of a Verve album produced my Norman Granz, the notable record producer of many classic records. 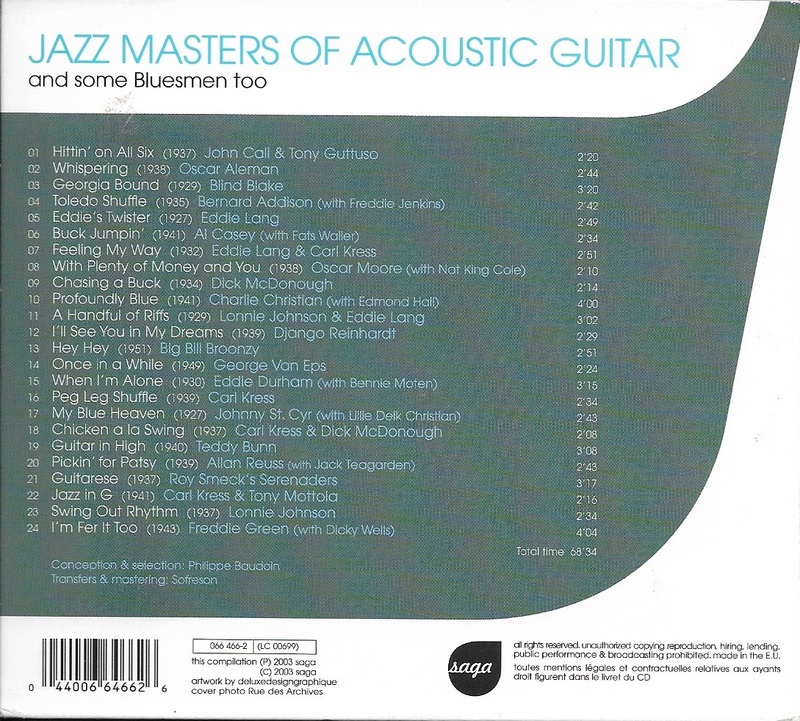 This CD has several additional cuts, and alternate takes, not on the original vinyl release. 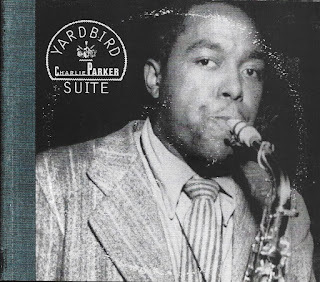 Being recorded in 1956, you can hear the be-bop influence. The quick tempos take a little getting used to, for me. Lisa felt the same way, and also mentioned she could hear where Bob Snieder picked up a few things. I'm sure Bob studied Tal Farlow's playing at some point. 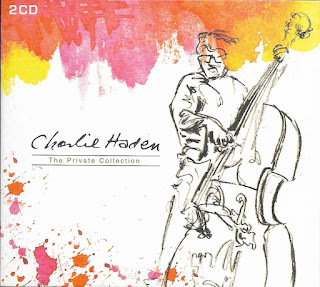 Next is a nice two CD set from the late Charlie Haden, the stellar bass player. 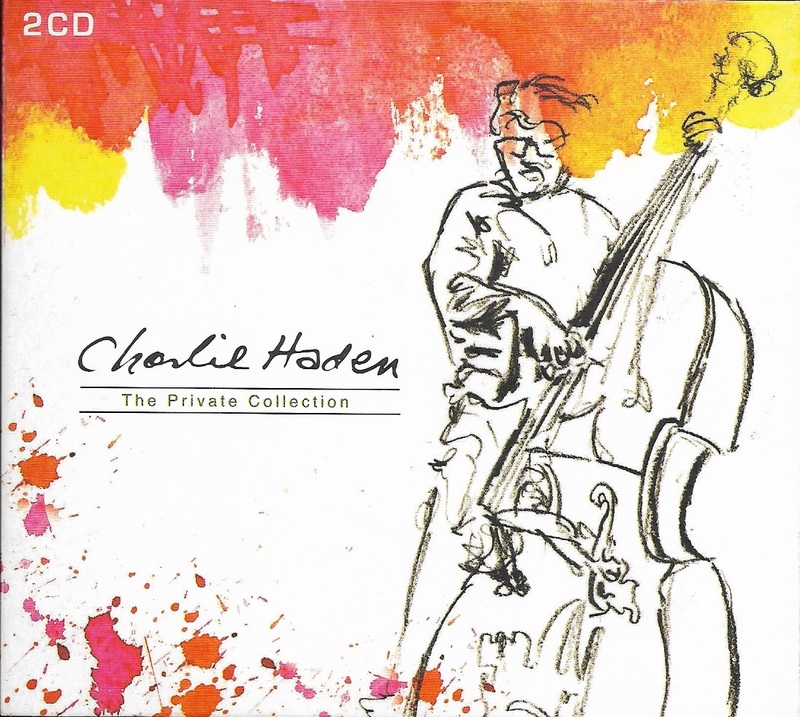 Charlie Haden - the Private Collection is a record of two concerts, first for his 50th birthday on August 6, 1987, and the second concert April 4, 1988, the following year. 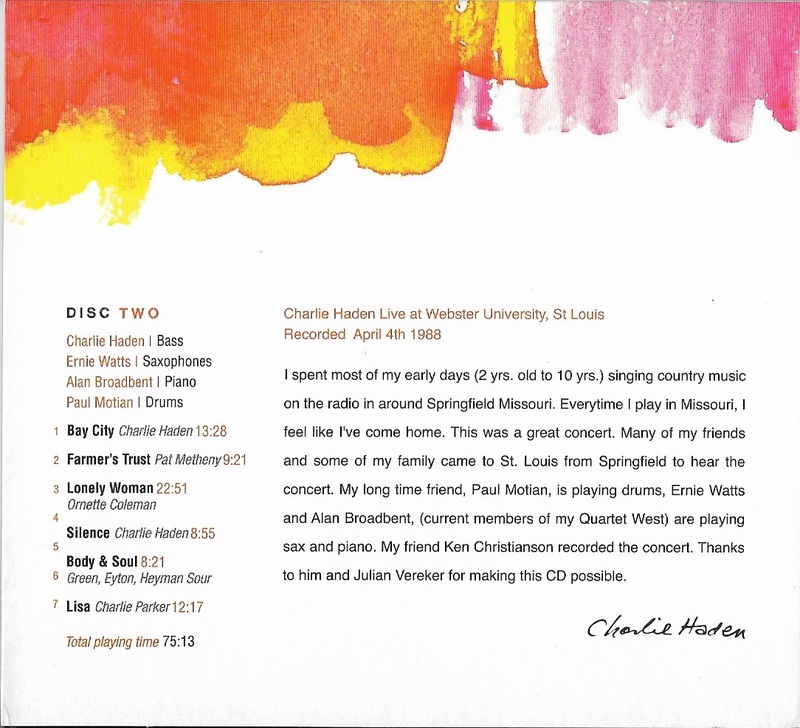 One nice touch is that he played a Pat Metheny tune Farmer's Trust on both dates. Metheny doesn't play on these dates, but the Haden and Metheny duets, and group outings, are some of my favorite listening. 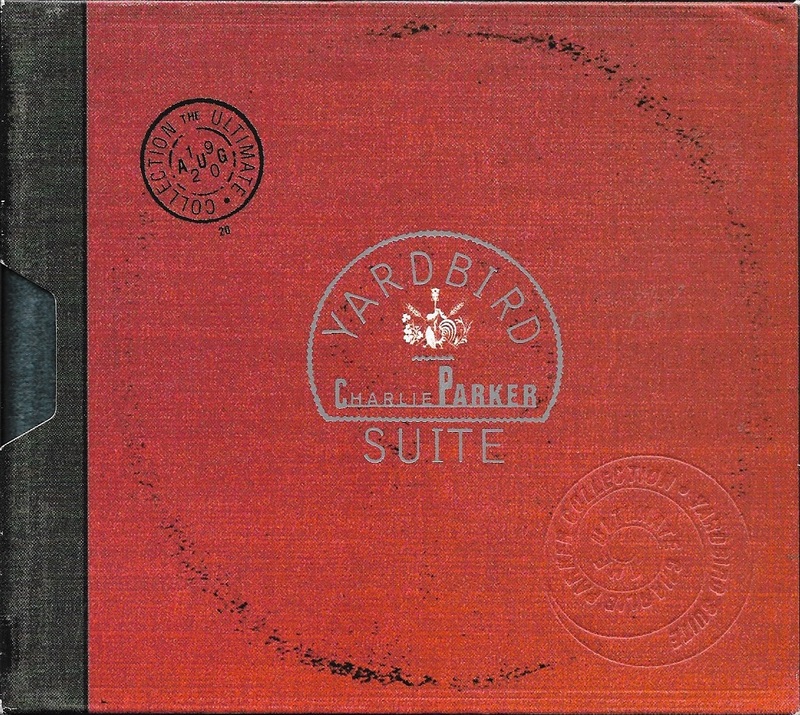 Last, but not least, is my filling a giant hole in my jazz collection, Charlie Parker - Yardbird Suite, The Ultimate Charlie Parker Collection. Of course, I have Charlie Parker playing on Miles Davis records, and have heard him countless times on the radio, thanks to DJs like Tom Pethic. But as guitar-centric guy, I didn't have any Charlie Parker albums or CDs as a leader. Now I feel a weight of jazz guilt has been lifted. 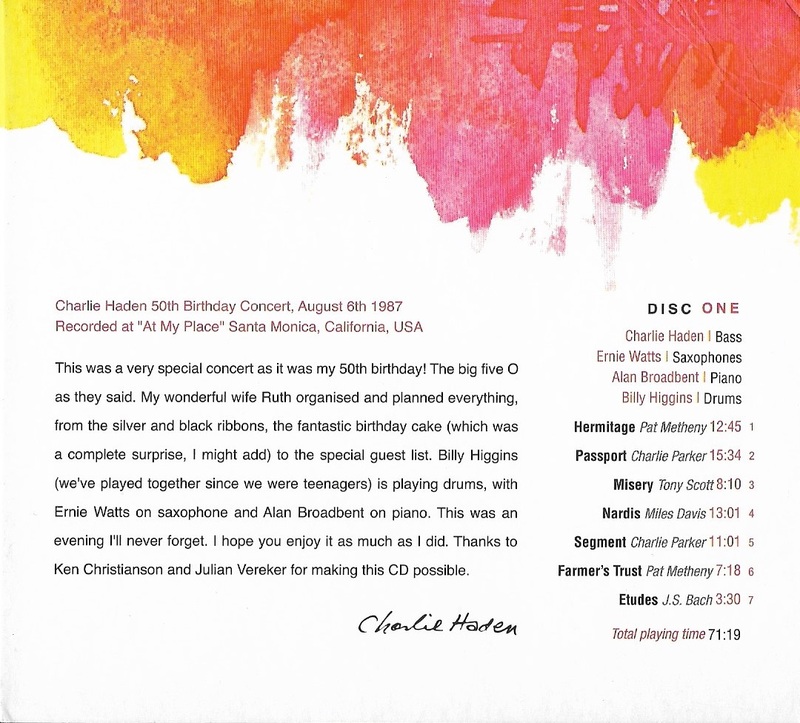 The package comes with a informative 59 page booklet which I plan to read as listen the music for added pleasure. In these tense day in the era of Trump, I finding music is comforting safe haven from all the noise. Hope you find your safe place to enjoy the music you like.